4 pack of BT-20 Motor Mount Tubes (kraft). 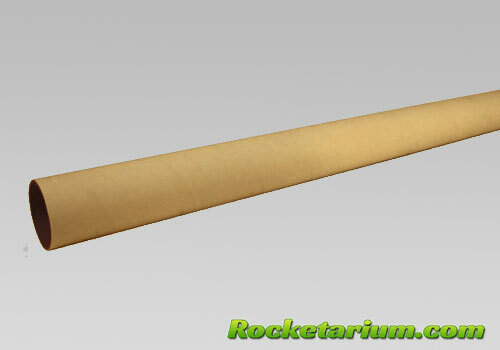 2.75" long ID: 0.71", OD: 0.736" Rocketarium 18mm retainer fits this tube. 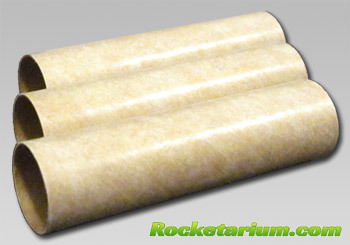 3 pack of BT-50 Motor Mount Tubes (kraft). 2.75" long ID: 0.95", OD: 0.976" Rocketarium 24mm retainer and Aeropack 24(L) retainer fits this tube. 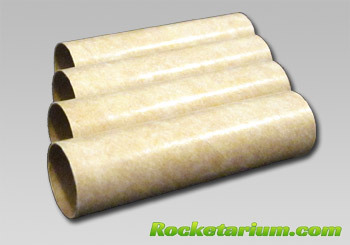 3 pack of BT-50 Motor Mount Tubes (kraft). 3.75" long ID: 0.95", OD: 0.976" Rocketarium 24mm retainer and Aeropack 24(L) retainer fits this tube. BT-50 Thick Wall Engine Mount Tube. 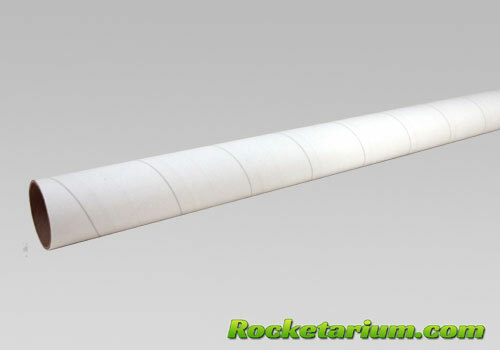 12"
BT-50 Thick wall Engine Mount Tube (white). 12" long O.D. : 1.0. I.D. : 0.95, Wall: 0.025" The diameter of this tube is the same as the tube used in Estes "E" kits. Aeropack 24(L2) and Estes 24mm plastic retainers fit this tube. 29mm Motor Mount tube 5.25"
Standard 29mm motor mount tube. 5.25" long. Fits Aerotech 29/40-120 (SU G size), Estes 29mm E16. F15 and smaller motors. O.D. : 1.215. I.D. : 1.14 Aeropack 29(L) and Estes 29mm plastic retainers fit this tube. 29mm Motor Mount tube 11"
Standard 29mm motor mount tube. 11" long. O.D. : 1.215. I.D. : 1.14 Aeropack 29(L) and Estes 29mm plastic retainers fit this tube. 29 mm motor mount tube. 12" long O.D. : 1.233. I.D. : 1.147, Wall: 0.043" Aerotech 29mm Retainer and Aeropack 29(L2) retainer fits this tube. 29 mm motor mount tube. 17 3/4" long O.D. : 1.233. I.D. : 1.147, Wall: 0.043" Aerotech 29mm Retainer and Aeropack 29(L2) retainer fits this tube. 38mm Motor Mount tube 24"
Standard 38mm motor mount tube. 24" long O.D. : 1.635. I.D. : 1.525 Aeropack 38(P) retainer fits this tube.